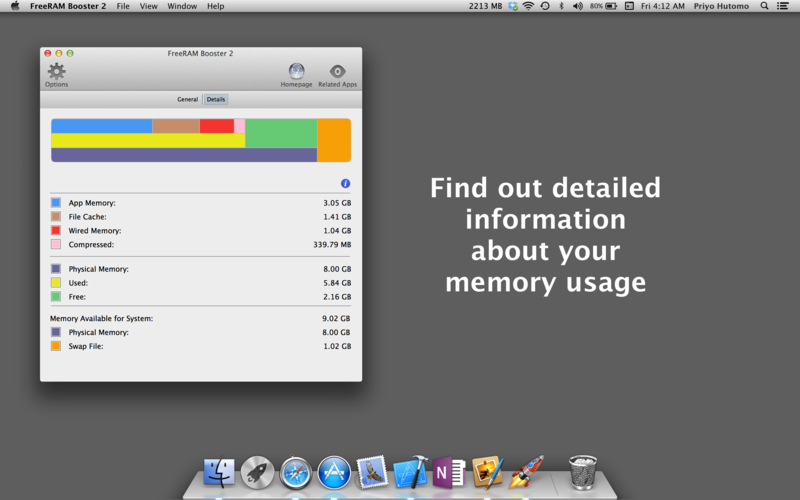 After opening multiple applications or multiple tabs in Safari you may find your Mac becomes sluggish and unresponsive. 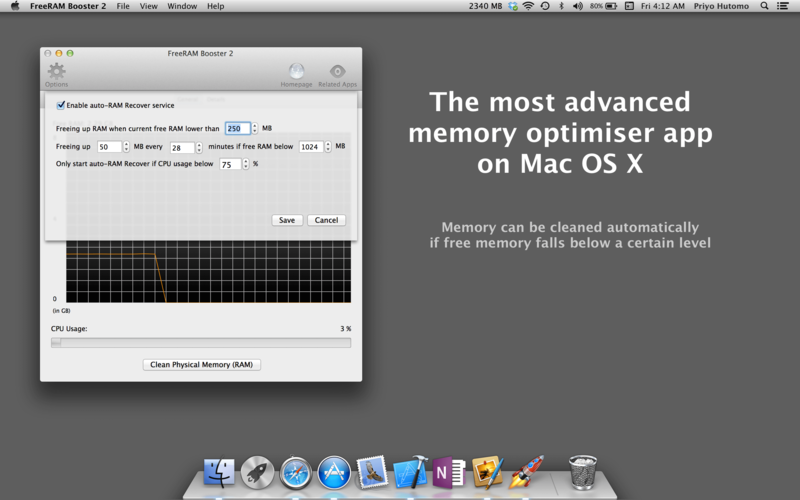 This is because your Mac does not have enough RAM to support all of those tasks to run smoothly. 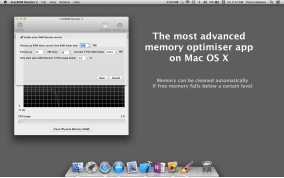 Adding more RAM to your Mac would be an ideal solution, but if somehow you're not able to do that a memory management program is what you need. FreeRAM Booster is a smart memory management program that will keep your Mac OS X from running slower and slower after been used for several hours. 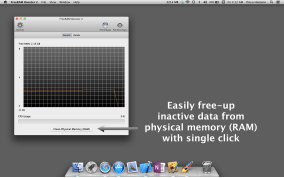 FreeRAM Booster works by freeing up unused physical memory allocated by system and other applications thus more RAM can be allocated to current tasks. Easily find out about detailed information of your computer memory usage. 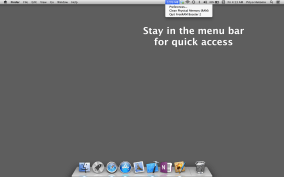 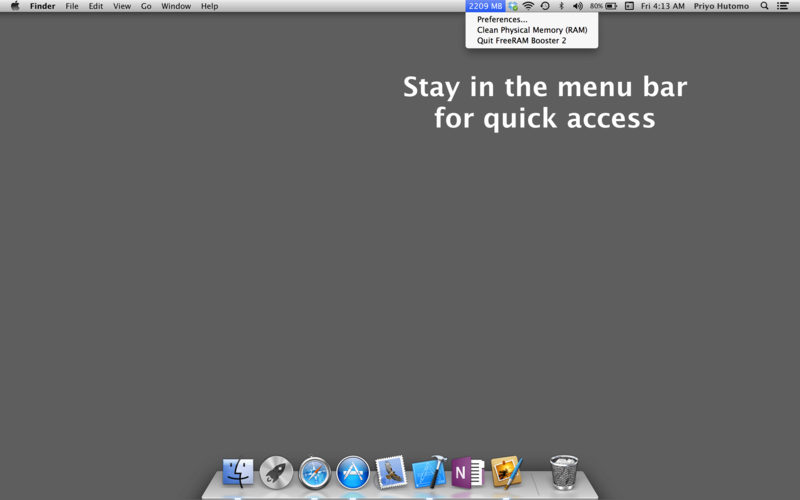 Stay in the menu bar for quick access.